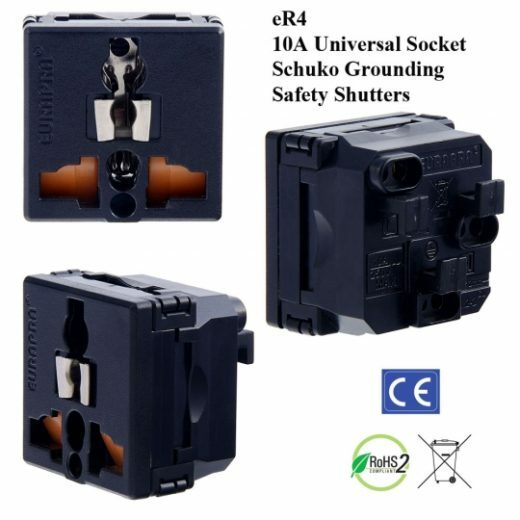 NextGen - True Amperage Pipeline, Schuko Grounding! 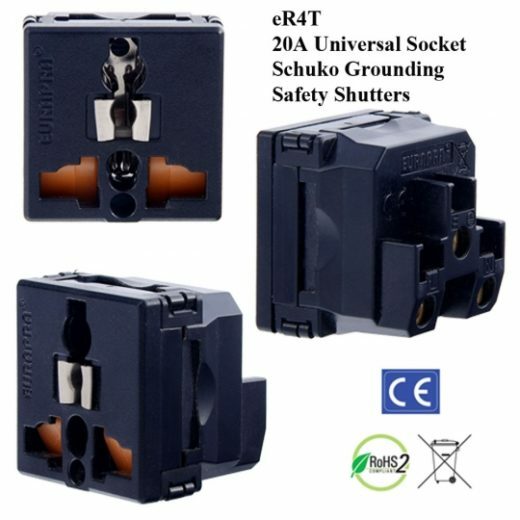 Extra Bonus: Safety Shutters help to hold Schuko Plug tightly IN POSITION The new "Slide In" Safety Shutters push against the Schuko Plug inserted inside the eR4T/eR4 adapters. This help eR4T/eR4 socket provide extremely Tight Connection. 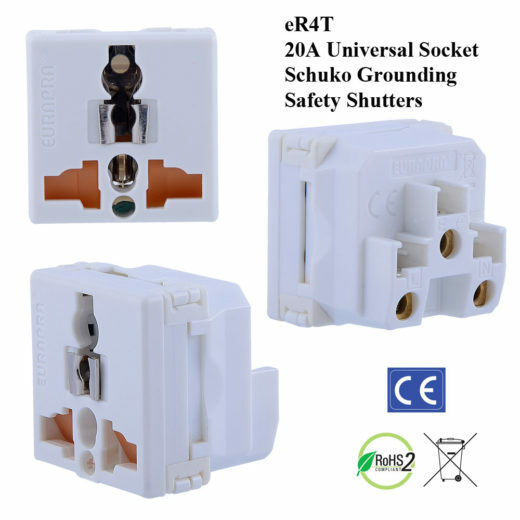 Schuko plug inserted into eR4Ta/eR4a without safety shutters can be easily knocked out, especially for 2-Pin Plugs (grounded 3-Pin Plugs don’t have this problem). 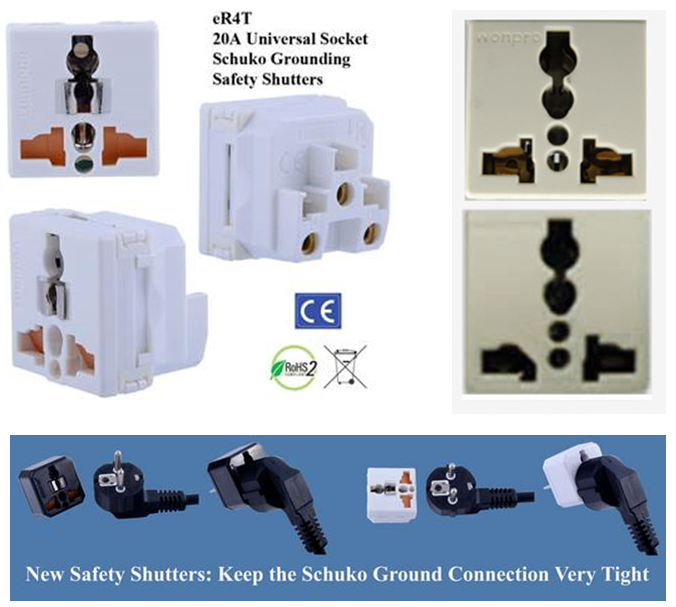 First Production Only: Polarized “Flat-End” US plug inserts at 45 degree A perfect Safety Shutters to use with ALL plugs. The above problem is only for the first production only!